After all is said and done, of one thing we can be certain. When a Magician begins to pull out certain incongruous articles from under his volunteer's clothings he will be creating a natural form of comedy. I know these things because I have been practicing them for the past 25 years or so. You, too, will share my views after your first public trial. 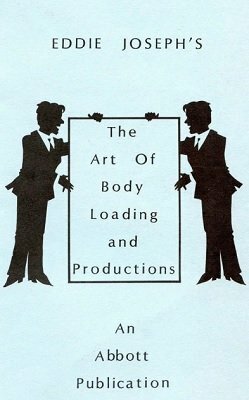 I know many Magicians who would like to incorporate this type of work into their program. They have refrained so far not because they "turn their noses" at such things but because they lack the requisite knowledge. They generally feel that one must be in possession of an abundant supply of nerve before they can proceed. They are wrong. It is not nerve but confidence that is wanted. Confidence can only be acquired through comprehensive knowledge of the subject. These are embodied in the pages that follow. 1st edition 1950; PDF 42 pages.